Homeowner’s insurance for veterans is the simplest way to protect service members property in the event of a disaster. Most homeowners will never see a disaster such as a fire or a flood coming their way. Even break-ins are unanticipated events that can rack up thousands of dollars in damage and lost goods. Finding the right homeowner’s insurance for veterans is an essential way to help mitigate some of the loss you might incur with these disastrous situations. Your insurance company will help to cover the cost any necessary repairs and replacements based on the type of coverage you keep on the house. Lenders will require you to keep homeowner’s insurance for veterans on the property you purchase with a VA loan. This gives them some peace of mind that the property won’t be destroyed before you can finish paying off the loan. It is a way for them to protect their investment in your house and to ensure that they can recoup the funds on the mortgage if necessary. While you might have already heard of homeowners insurance for veterans, some people are still not sure exactly how it protects them. Insurance companies offer several different policies and types of protection, depending on where you are located. If you live in the south, you might not have wind or hail coverage because this is not a prominent issue in all parts of the country. Other individuals will still want to include this in their coverage just in case it ever happened. Another optional type of coverage is flood insurance. This is generally handled through a separate policy, and it might be required if you live in an area prone to excessive rainwater and flooding. Not all VA loan homeowner’s insurance will require this separate policy to protect your property. In addition to those scenarios, your home insurance for veterans is going to include four different types of coverage for the damage to your home. You might spend a lot of time considering what a disaster could do to your home, but have you considered what it might do to the structure of your house? It might compromise the structural integrity of your foundation, creating a long-lasting issue that will be very expensive to correct. Homeowner’s insurance for veterans should help to cover this type of structural damage, as well as any other damage done to the home. This type of coverage helps to cover the cost of any damage done to your personal belongings in a covered event. Your furniture, clothing, and electronics are all included in this category. The insurance company will help you to start over after a disaster, if necessary. 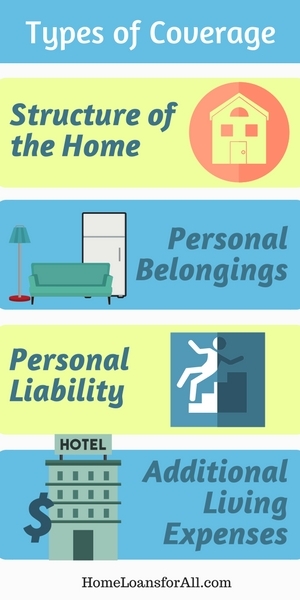 If someone falls on your property or gets bitten by your dog, personal liability helps to protect you. You would be considered legally responsible for these events that happen on your property, but homeowner’s insurance for veterans will help to cover the cost of the damage. Do you need to live somewhere else for a brief period of time while your home is being repaired due to a covered event? Homeowner’s insurance can provide you with money to cover the living expenses associated with staying in a motel or renting an apartment for a long-term repair. Along with the different types of coverage, you also have three different types of homeowner’s insurance to choose from. This determines to what extent your insurance will help if a covered event occurs on your property. Understanding these terms is very important for your VA loan homeowner’s insurance because it ultimately determines how well your coverage will work. This means that you will receive the amount of money your item is worth minus any depreciation that occurred. Whether the insurance company is helping you replace the whole house or just the belongings inside, you are likely to find that actual cash value means you will still be paying for some of your items completely out of pocket. 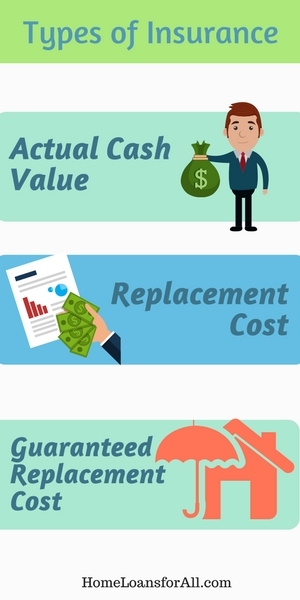 In comparison to actual cash value, replacement cost gives you the amount of money it would cost to actually replace your item or home. It does factor depreciation into the equation, and it might even give you more than you paid for the item to account for inflation or rising prices on similar items. Depending on how badly your home is damaged, you might find that the repair costs actually exceed the policy limits. Homeowners who have guaranteed replacement cost insurance don’t need to worry because the insurance company must replace or rebuild the home without factoring in depreciation. This guarantee holds true regardless of how much the repair work will actually cost. What Are the VA Loan Homeowners Insurance Requirements? All lenders will have a minimum amount of coverage they will expect when you sign up for a VA loan. No matter what company or type of insurance you choose to go with, you will need to have the specified amount of coverage. Lenders might vary on what they require, but almost all of them will require coverage for at least the loan amount. This protects their interests in the property, no matter what happens. The other VA loan homeowners insurance requirement is to have a full year of this insurance in place. Most lenders will want to see the binder that comes toward the beginning of your insurance policy. This is essentially temporary proof of the policy you are signing up for on your home. This binder should list the deductible, the mortgage company and homeowner as the payee, and the type of coverage you signed up for. How Can I Save Money When Buying Homeowner’s Insurance? Fortunately, there are a few ways that you can save on the necessary costs of purchasing homeowner’s insurance for veterans. With a few of these expert tips, you might be able to save hundreds of dollars per year on your insurance premiums. Never be afraid to ask the insurance company if there is something you can do to lower your premiums. The worst thing they can do is tell you no, but you might be able to walk away with substantial savings. Always look for insurance at more than one company before you make a final decision. This gives you a chance to compare rates and types of coverage before you sign on the dotted line. You can always ask another company to match a lower rate, as long as the coverage is apples to apples. Raising the deductible is a great way to lower your premiums. Be prepared that this means you will have a greater out of pocket cost if a disaster ever strikes your property though. Most homeowners will need to take time to consider what kind of a balance they can strike between a higher deductible and a lower premium before they decide to move forward on this. Insurance companies are often willing to cut you a discount if you bundle multiple policies all in one place. For example, you might want to stick with your current provider for auto insurance and life insurance. When you keep all three policies in one place, it is often cheaper than spreading them out across multiple companies. Insuring your land is bound to add some expense to your overall cost of insurance. You can lower the price of your monthly premiums by insuring only the home and its contents instead of the land. There is a much greater risk of a fire in or around your home if you are an active smoker. Insurance companies often give lower premiums to individuals who have no smokers in their home. This is a great time to kick the habit if you are concerned about what your homeowner’s insurance for veterans is likely to cost you. You might be able to get a better deal on your homeowner’s insurance through group coverage offered by an employer. Be sure to look into any policies that are available through this avenue. Many insurance companies will issue discounts after you have been with them for a long period of time. By sticking with your current insurer, you might be well on your way to earning a major discount due to your long-term loyalty. Ask if they will give you a discount for choosing them again with your new home. 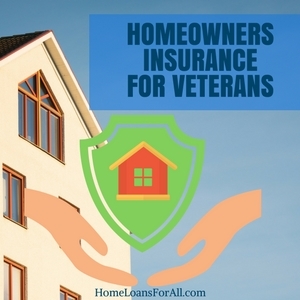 Homeowner’s insurance for veterans is necessary if you plan to purchase a home with the VA loan program. Most lenders will require a minimum amount of coverage to protect their own interests in the property. With a few of these guidelines, you can be better informed when you select an insurance policy and possibly even save hundreds of dollars on your premium. Be sure to contact your lender today to see what they require before you start doing your research. What is a homeowner’s insurance binder? A homeowner’s insurance binder is temporary proof of your coverage. It provides details such as the type of coverage you have, the deductible, and the payee in the event of a major disaster. What is hazard insurance versus homeowner’s insurance? 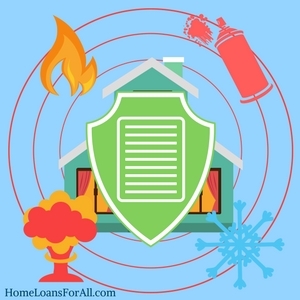 Hazard insurance is often considered to be a type of homeowner’s insurance that covers events like fire, hail, theft, vandalism, and similar events. Homeowner’s insurance generally covers these hazards and a wide variety of other events. Why is homeowner’s insurance required for a VA home loan? 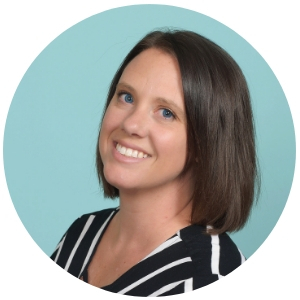 The lender wants to make sure that their investment in the property is protected so they require coverage for at least the loan amount.